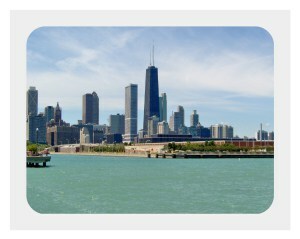 Helpful Tips for Buying a Condo in Chicago | Fournier Law Firm, Ltd.
A number of first time home buyers are ready to enter the real estate market. Young professionals who are looking to purchase their first home might find it appealing to own a property in one of the many Chicago neighborhoods; however, the prices for a single family home are too steep. Purchasing a condo is an attractive alternative; in fact, owning a condo can be very appealing to many home buyers who want to move into one of these hot areas but also don’t want to take on the maintenance single family home. Nevertheless, purchasing a condo in Chicago can offer its own set of issues if not researched thoroughly by the buyer. An article published by Alex Mayster in U.S. News Real Estate offers many considerations buyers should remember when purchasing a condo in the city. For example, Mayster encourages the buyer to find out how many units in the building are rented out currently. “If it’s over 50 percent rented, you could have trouble getting a loan,” says Jennifer Mills Klatt with the Berkshire Hathaway HomeServices KoenigRubloff Realty Group. Even if the buyer is able to secure a loan, home owners in a building with more than 50 percent of the properties rented out may find that their neighbors don’t share the same level of financial investment in the property. This could also lead to frustration when owners renting their property vote to spend to less money on improvements and maintenance. A high percentage of rental units may also affect the resale value of the property. The article goes on to provide other helpful tips for condo buyers such as researching and exploring the neighborhood first-hand, personally investigating the availability of parking, whether it be street parking or an included parking spot, and researching the condo association minutes and assessments.